In the penultimate Sunday of the spring hurling season it was the old reliable workhorses of hurling who triumphed over the much-fancied youth and exuberance of Tipperary. Kilkenny displayed all the attributes that has lead to their dominance of hurling during the Cody era with DCU’s own John Donnelly and Conor Delaney a testament to the vision and work ethic which has led to that dominance. Of course, there will be little or no talk of Donnelly’s or Delaney’s work due to the outstanding performances of the old veterans of Kilkenny hurling. TJ Reid gave one of the best fielding and placed balled exhibitions in recent memory with Walter Walsh’s surging second half display undeniably the turning point in the game stemming Tipperary’s momentum. 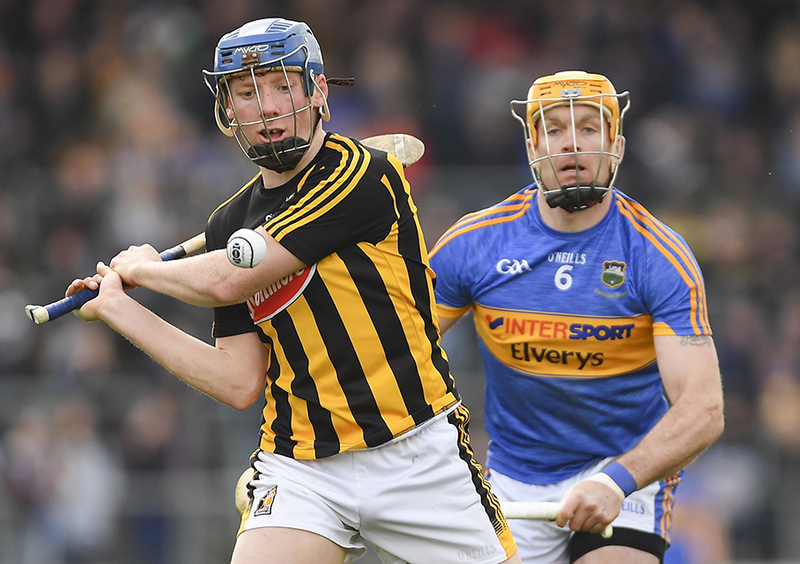 The skill and killer instinct of the old guard wasn’t the only reason for the Cat’s emphatic League final victory in Nowlan Park, the work rate and vision outside the central spine of the team played a crucial role in their second half march to a six-point win. Donnelly and Delaney illustrated this throughout the match but particularly when the game was there to be won. Walsh’s dramatic second half goal came from the vison of Delaney at number five. Delaney hit in an inch perfect pass to Walsh who had got goal side of his man and was never going to miss a one on one. Donnelly, despite being taken off with ten minutes to go had a superb match. He scored two points that had the “Cody Factor” written all over it. Four minutes on from Walsh’s goal the teams were level. Donnelly won the breaking ball and hit it first time near the wing about 45 yards out. That aerial threat in the half forward line will surely be paramount for him holding the number 12 jersey throughout the summer. Three minutes later Donnelly showed great vision and hurling intelligence. Bill Sheehan won the ball and was engulfed by three Tipperary defenders. As this was happening Donnelly took a few paces back, received the pass and duly slotted over an easy score of his own making to put three between the sides. Delaney showed the dogged work ethic that Cody looks for in defenders. It was no surprise to see him mopping up the last ball of the game in his own defence as if the game was still in the melting pot. The two will prove crucial in Cody’s blend of youth and experience in this years race for Liam.